1. Preheat the grill to hot. 2. 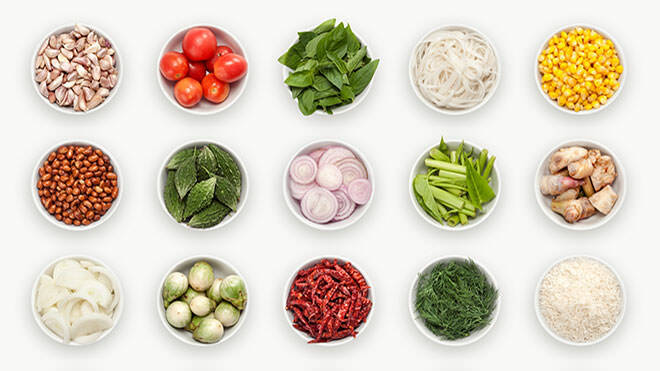 For the meatballs, combine the pork, garlic, lemon grass, spring onion, corander, red curry paste, lime juice, fish sauce and egg in a large mixing bowl. Season to taste, before moulding into walnut-sized balls. 3. Lay onto the grill tray and place under the heat, brushing with a little vegetable oil as they brown. While the meatballs are cooking, prepare the relish. 4. To make the cucumber relish, bring the vinegar, water and sugar to the boil. Stir until the sugar dissolves, then remove from the heat and cool to room temperature. Stir in the cucumber, garlic, shallots and ginger. 5. When the meatballs are crisp and brown on all sides, arrange a little watercress on each serving plate. Scatter over a few hot meatballs and the cucumber relish. Serve straight away.